The Designer Stationery Kits from DCWV are perfect for keeping up with business associates, pen pals and neighbors, as well as friends and family across the county. 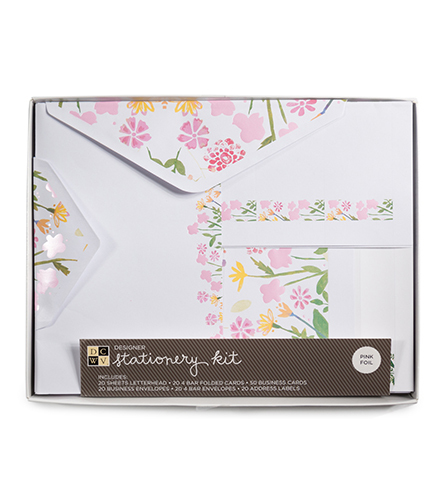 Use the assorted pieces to send handwritten sentiments, both long and short, to let them know you care.The Designer Stationery Kits from DCWV are perfect for keeping up with business associates, pen pals and neighbors, as well as friends and family across the county. Use the assorted pieces to send handwritten sentiments, both long and short, to let them know you care.